Grammy Award-winning artist/producer duo The Chainsmokers and dance music tastemaker NGHTMRE have released a brand new visual for their recent collaboration “Save Yourself” – watch the video Below. Directed and produced by That One Blond Kid, the video follows Drew on a terrifying chase through the Hollywood Hills. “Save Yourself” follows recently released single “Side Effects” featuring Emily Warren, which is available now via Disruptor Records / Columbia Records. Check out the duo’s performance of the track on last night’s Jimmy Kimmel Live! 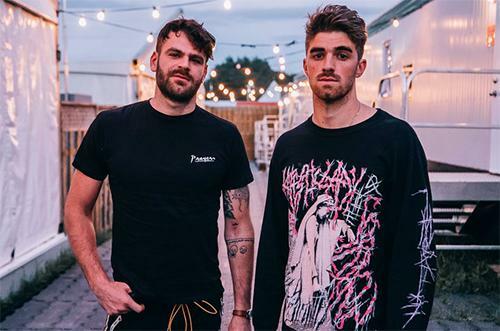 The Chainsmokers have just been nominated for a 2018 American Music Award for “Favorite Electronic/Dance Artist.” Watch for new music from The Chainsmokers to be released next week.